A day out to the Elephant Sanctuary and Kandy. The journey takes you first to the Elephant Sanctuary at Pinnawala where abandoned and orphaned Elephants are being looked after. Then you will be visiting a Ayurveda Herbal Garden enroute to Kandy. Kandy is the hill capital of Sri Lanka founded in the 14th Century AD and the last kingdom of Sri Lankan kings before it fell to the British in 1815. 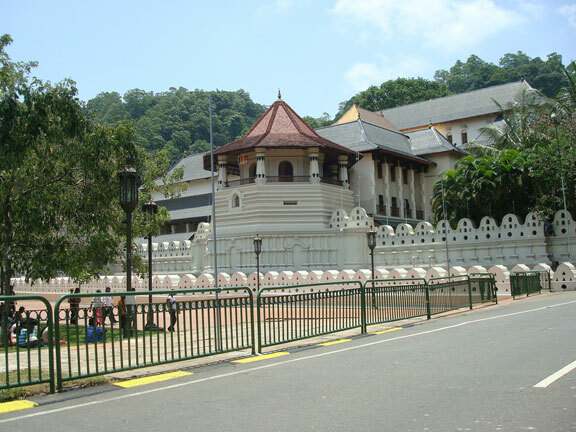 The Temple of the Tooth Relic which houses the sacred Tooth Relic of “Lord Buddha” is the most significant building in the city and is a place of veneration for the Buddhists world over. The journey to Kandy presents the traveler with a cross section of what Sri Lanka has to offer in landscape and scenery. A visit to Gem Measuem, Arts & Crafts Center and Botanical Gardens at Peradeniya ends this programme. This full day trip to Galle will be an exiting one with River safari at Balapitiya. Enjoy a scenic cruise along the Madhu River, a relaxing trip with plenty of interesting stops. You pass dozens of islets forested with mangroves and can appreciate the timeless natural rhythms of rural life. You cruise in a canopied, outboard motor powered boat; pausing to view a 200 year old temple and to watch the locals cultivating cinnamon. You may also see traditional fishing techniques in action and can view demonstrations of coir manufacture and rope making. Bring your binoculars along if you can as around 46 species of bird reside in the area including 14 aquatic varieties. You can also spot huge water lilies and colourful butterflies. Galle is south Sri Lanka’s most important town. In 1587 the Portugues annexed Galle from it’s Sinhala kings and built its first fortress naming it “Santacrusz”. Its old world charm appeals as a tourist destination. To this, it looks back to 500 years of nurture under Sinhala, Portuguese, Dutch and British stewardship. On your return, visit a Turtle Hatchery and the Moonstone Mine in Meethiyagoda. Monstone is found concentrate within an acre of land believed to have been blessed by the moon. The moonstone is a semi-precious gem of Sri Lanka that possess unique qualities relating to the moon. Leave in the morning and do a safari by boat in the Negombo Lagoon and the Dutch Canal. During this trip, you will be able to observe the activities of people residing on its banks and also the vegetation of coconut palms, bird life and the innumerable fishing boats. Leave for Sigiriya and climb the 5th century Sigiriya rock fortress which is a world heritage site built by king Kashyapa [477-495AD]. The lion rock is a citadel of unusual beauty rising 200 meters from the jungle. Visit the world renowned frescoes of the "Heavenly maidens" of Sigiriya which are in a sheltered pocket of the rock approached by a spiral stairway. These frescoes are painted in earth pigments on plaster. Thereafter climb up to the temple which was donated by king Walagambahu in the 1st century BC to Buddhist monks. Dambulla is a world heritage site and the most impressive of Sri Lanka’s cave temples the complex of five caves with over 2000 sq meters of painted walls and the ceiling is the largest area if paintings found in the world. These caves contain over 150 images of the Buddha of which the largest is the colossal figure of the Buddha carved out of rock spanning 14 meters. It is one of the island's best known and biggest wildlife reserves, encompassing an area of 1300 square km (500 square miles). 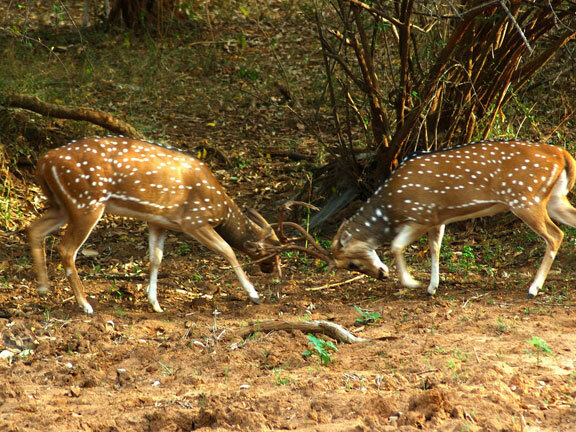 It is divided into Yala West (Ruhunu National Park) and Yala East. Ruhunu National Park has a diversity of jungle habitats ranging from scrub jungle, tanks, brackish lagoons and riverside habitats. It is considered the best park for viewing animals and birds. Animals include the elephant, leopard, sloth bear, spotted deer, barking deer, mouse deer, sambhur, grey langur, toque monkey, stripe-necked mongoose, ruddy mongoose, wild pig, jackal, water monitor, marsh crocodile and estuarine crocodile. 130 species of birds have been recorded. Bird life includes Sri Lanka Jungle Fowl, Brown-capped Babbler, Stone Curlew, Greater Thick-knee, Black-necked Stork, Lesser Adjutant, Painted Stork, Sirkeer Malkoha, Blue-faced Malkoha, Green Bee-eater, Pompadour Green Pigeon, Blue-faced Malkoha, Green Bee-eater, Orange-breasted Green Pigeon, Malabar Pied Hornbill, Brahminya Myna and Rose-coloured Starling. Yala East contains the Kumana Mangrove Swamp with a large variety of water birds. Onroute visit Galle Fort & see the Turtle Hatchery. it is common sense, that in certain instances vari ous criteria employed in the name of conservation become the very measures that exacerbate the pre vailing circumstances. Turtle hatcheries are no exception.Globally all seven spe cies of marine turtles ex isting are endangered. Two are critically endan gered. Out of these seven species, five species visit the shores of Sri Lanka . Given this situation, it is needless to mention, that conserving marine turtles is of principal concern. This two day excursion takes you to the Elephant Sanctuary at Pinnawala where abandoned and orphaned Elephants are being looked after and to Kandy. In Kandy, experience the highlights Avisit to Gem Measuem, Arts & Crafts Center and Botanical Gardens at Peradeniya and witness a Cultural show. On the following day you could see the world heritage site, Sigiriya. Onroute visit a Ayurveda Herbal Garden , Sigiriya known as Lion Mountain is a rock fortress built by King Kashyapa in the 5th Century AD. Visit the world renowned frescoes of the ‘Heavenly Maidens’ of Sigiriya which are in a sheltered pocket of the rock approached by a spiral stairway. They are painted in earth pigments on plaster (epigraphical evidence refers to the existence of 500 such portraits, but only a very few remain today). This two day excursion features highlights of Nuwara Eliya and Kandy. Travel to Nuwara Eliya via Kitulgala taking a break at a Tea Center to have a cup of Tea. Here, you will be able to have a very good view of the St. Clair waterfall. Visit the Pedro Tea Factory and plantation. 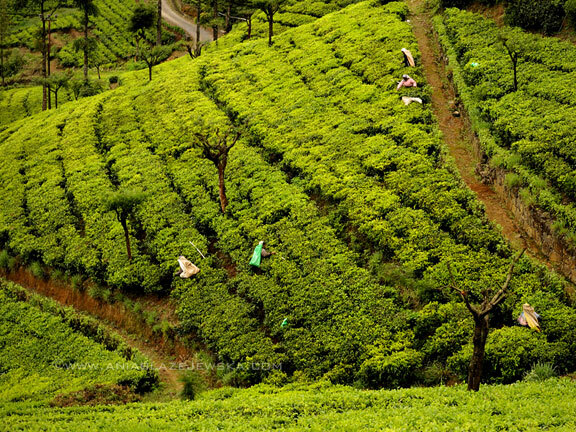 Sri Lanka is one of the world’s largest exporters of tea. Since the introduction of tea to Sri Lanka in mid 19th century, Nuwara Eliya has been the capital of the tea industry.For many miles prior to reaching Nuwara Eliya from either direction, you will find acres and acres of tea plantations, in fact nothing but tea estates. Also see the Natual Water falls surrounding the roadside and gives Sees beautiful panorama to the traveler. On the following day explore the highlights of Kandy and the Elephant Sanctuary. On your way to Kandy, you could visit the Elephant Sanctuary at Pinnawala. The journey to Kandy presents the traveler with a cross section of what Sri Lanka has to offer in landscape and scenery. In Kandy, visit to Gem Measuem, Arts & Crafts Center In the evening witness a Cutural show. On the final day, visit Botanical Gardens at Peradeniya and continue the city tour. Early in the morning leave for Pinnawala and visit the Elephant Sanctuary where abandoned and orphaned Elephants are being looked after. Then proceed to Sigiriya and climb Sigiriya Rock Fortress. On the following day, explore Polonnaruwa. You can see the ruins of the Royal Palace, the Gal Viharaya where four splendid statues of the Buddha in ''Upright'', ''Sedentary'' and ''Recumbent'' postures carved out of rock could be seen, the Audience Hall, the Lotus Bath, the statue of king Parakramabahu, and the Parakrama Samudraya. On your way to Kandy, visit a spice garden as well. The last day of this excursion takes you to the Botanical gardens at Peradeniya, Temple of the Tooth Relic. A visit to a tea factory and a plantation also could be done after a city tour of Kandy. To know Maldives is to love Maldives. A bubbling, busting islands of paradise where time stand still in the most romantic destination in the world. The islands of Maldives persuade tourists with promises of 'the last paradise on earth', and if your idea of paradise is white sand beaches with turquoise waters glistening, tropical gardens exploding in beautiful color and picture perfect sunsets igniting the sky, then the Maldives will never let you down. It's also a major destination for scuba divers, who come for the magnificent coral reefs and the wealth of marine life.